A traffic stop for a vehicle running a stoplight led to the arrest of a Norfork man currently on probation. 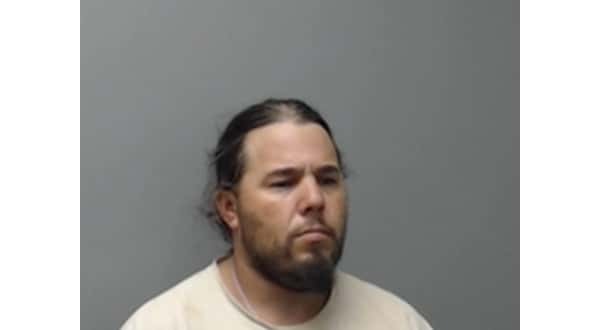 Thirty-four-year-old Johnathan Foshee was booked into the Baxter County Detention Center Friday evening on multiple drug charges. According to a probable cause affidavit, a Mountain Home Police officer observed a black SUV disregarding a red light. The officer made contact with the driver, identified as Foshee, and learned he's on active felony probation with a search waiver on file and a suspended license. Foshee reportedly told the officer he had marijuana and a pistol in a backpack in the vehicle. Foshee exited the vehicle, and the officer discovered during the search he had a glass container containing a white crystal substance in his front right pants pocket. The officer then searched the backpack and located numerous articles of drug paraphernalia, controlled substances and a .380 pistol containing a full magazine and a chambered round. Foshee faces felony counts of possession of a controlled substance (methamphetamine), possession of a controlled substance (mitragynine), possession of drug paraphernalia, possession of a firearm by certain persons and a probation violation and misdemeanor counts of possession of a Schedule IV controlled substance and driving while license suspended. He was also cited for failure to obey a traffic control device. His bond is set at $5,000, and he's expected to appear in Baxter County Circuit Court.